A bleach spill on a carpet, whether it be large or small, leaves behind a telltale mark. Technically, bleach does not stain a carpet; instead, it strips the dye out of the carpet fibers, leaving a mark. Bleach spots create areas of yellow, white or a much lighter version of the original dye on the carpet, which can detract from the beauty of the room. Fortunately, successfully dyeing bleach spots to restore the carpet's color is possible. Dye bleach spots to restore color to a carpet. Wet a large sponge or thick, white towel with plain water. Wring out any excess water just until the item is not dripping wet. Do not use colored towels as they can be affected by the bleach. Place the damp towel or sponge over the bleach spot and press the item into the spot to release the water. Remove the item. Immediately place a dry towel over the spot and press down on it firmly to remove as much liquid from the area as possible. 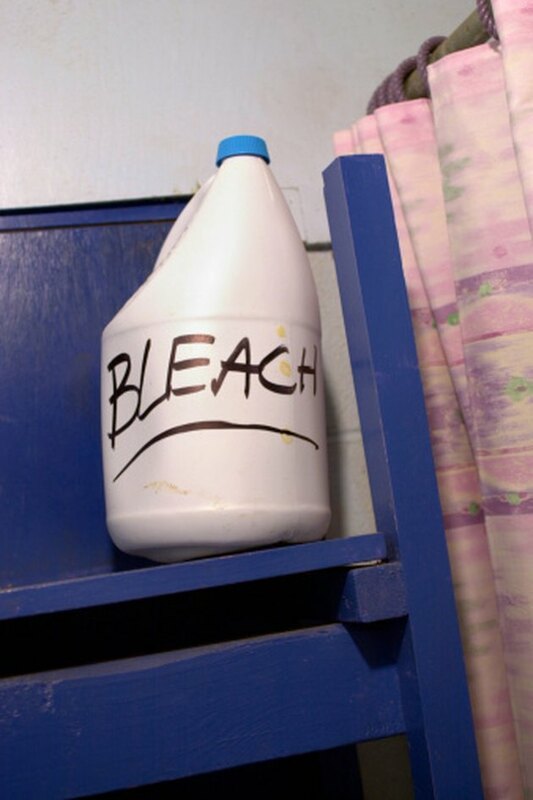 Repeat this process two to three times to dilute the bleach residue. Blot up as much water as possible with the dry towels. Purchase a fabric dye color that matches the carpet's color. Prepare the dye according to the manufacturer's directions. Test the dye on a hidden area of the carpet to determine if it is a good color match. Dip a clean, white rag into the fabric dye. Place the rag onto the bleach spot and press the rag down into the carpet fibers. Repeat as necessary to achieve the correct intensity of color. Layer the color to build its depth rather than adding the dye quickly.